At The Village Potters, we are attracted to the beauty of clay. It is moldable and can create priceless objects of art, as well as everyday functional ware. We have a connection with clay and the many challenges and rewards it brings us. But, do you know that this clay can also saves lives? Little did I know when I started my pottery hobby in the year 2000, that I would find myself immersed in another kind of ceramic endeavor- the ceramic pot water filter. In 2005, I took a volunteer vacation to Tanzania, where I learned not everyone in the world has the privilege of safe water delivered at a tap. 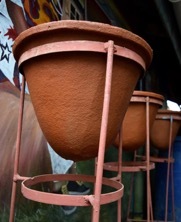 When I returned to the U.S, I discovered the ceramic pot filter as a form of sustainable water treatment. This pot, made from a combination of clay, sawdust, and colloidal silver, cleans the water so that it is safe to drink and it lasts 5 years. It was perfect for the people of Tanzania, who desperately need safe water. That was 13 years ago. Today, SAFE Water Now produces and distributes this life-saving technology from a Tanzanian-owned social enterprise located in Arusha, Tanzania. To date over 100,000 lives can have clean and safe water available when and where it is needed; but, there are millions more to serve. The Village Potters support my growth as a potter through their Independent Study & Mentoring Program, but they also support my efforts to save lives. They have seen that $40 provides a family with safe water for 5 years…that’s $1 per person per year. I am grateful to have their sponsorship for our benefit event on March 21st, at The Grey Eagle, in Asheville, celebrating United Nations World Water Day. 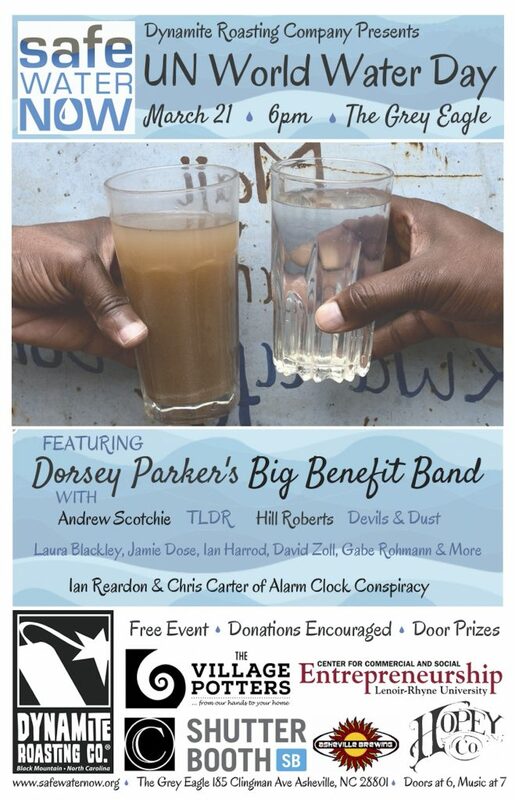 Dorsey Parker’s Big Benefit Band is going to raise the roof for safe water, so get your dancing shoes on and come out for a good time. No tickets… donate at the door or online. And, if you can’t make it, your donations still provide safe water for families in need. To learn more about our life-saving work and to donate, visit www.safewaternow.org .